In this post series, some useful plugins for a better typography are being covered. With a new batch of them coming on this post, be sure to take a look at part I.
can convert any font you like to use in a WordPress based blog. However, in order to use the plugin the fonts need to be in a specific format, which makes the process a bit tricky. 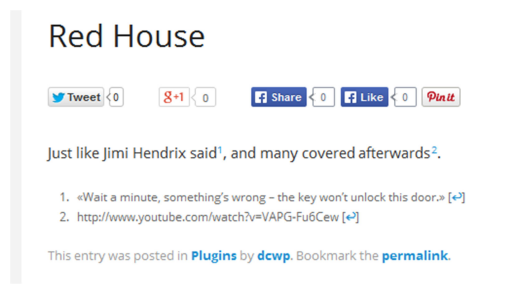 You better take a look at the plugin’s instructions to learn the correct way to proceed. Now that you chose the ideal font for your blog, what about giving it a soft touch of style? With the Drop Caps plugin, as the name suggests, you can add drop caps to your posts, pages and even comments. With this plugin all the posts and pages will have drop caps, and you have the ability to change their behavior through CSS editing. Another interesting piece of style is brought by the Simple Pull Quote plugin. With it, you can add quotes in a very unique way to the side of your posts, giving a whole different view to quotes in WordPress. In order to create such a quote you just have to place it between the tags [pullquote] and [/pullquote], in the post or page editor. Some things about the plugin can also be modified using CSS coding, but mostly just visual aspects and not exactly functional aspects of it. If you write long and informative posts, which require additional information for specific parts or the proper citation acknowledge, then the WP-Footnotes plugin is totally suitable for you. It places footnotes and numbers the sources within the text, much like what happens in text processors such as Microsoft Word. The plugin can be modified to suit your needs. To do so, just head to the new section created under “Settings”. Items like the Identifier, the Back-link and more can easily be defined to fit your personal preferences. In order to improve the text editor in WordPress, there is still another useful plugin: with WP Typography you can change the way the editor deals with the input you provide. Hyphenation, space control, intelligent character replacement, CSS hooks for styling and other controls are just some of the things you can master using this plugin. After installation, a new section will be created under “Settings” where you can choose, item by item, which functionalities you want on and off.